Sai Divya Puja fulfilled my wishes! I went to Srimathi K. Padmavathi’s house and attended Baba Darbar. I took some books about Baba Divya Puja. I send some copies to my little sister living in Badnagiri and I kept a copy for myself. I vowed to do the Puja for 5 weeks and did it with a lot of devotion. Now every week I would go to Sai Darbar at Anup Nagar. I got the results in the first week itself. My husband had to receive some money that he could not get for a long time. The first week of my Puja he recovered his money without any effort. I was very happy to get the result in the first Thursday of the Puja itself. My younger daughter Isha studies at Maharashtra. One day at 8:00 pm she called me and was much tensed. She said the results are coming tomorrow and only 17 % passed. She asked me to pray for her. I assured her that I will pray for her. That day was the Wednesday. I next day was Thursday and it was the 5th Thursday for the Divya Puja. I took a vow that I will do Divya Puja again for 5 weeks and that Sri Sai Baba should bless my daughter with good results. That day in the afternoon at 4 pm. Isha called happily saying she passed. I was very happy and did the Puja for 5 weeks. 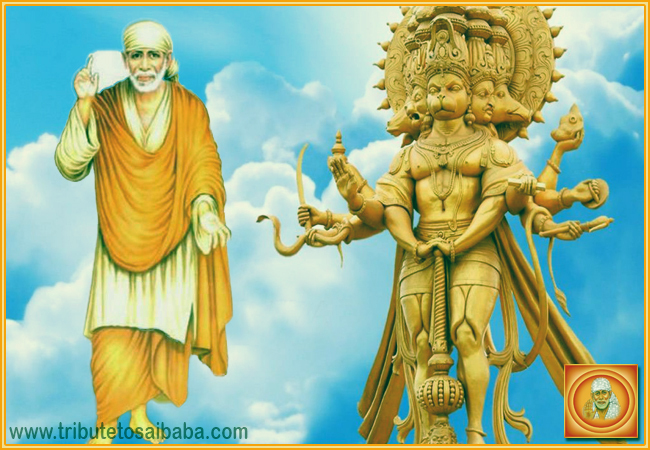 I am very grateful to Sri Sai baba for fulfilling my wishes on the first Thursday of the Puja two times. Jai Sai Ram!